See the new e-book directory below. Thanks to all member companies, advertisers, organisations, writers, interviewees and all who contributed. DANVERS, Mass., USA– HighQuest Group will expand its oilseed conference offerings with the debut of the new Oilseed Congress Europe/MENA in Barcelona, Spain, on 9-10 February 2015 at the Hotel Arts. The event will provide exclusive content on the current state and outlook for the oilseed complex in Europe and the Middle East/North Africa and how global trends are likely to affect the sector. 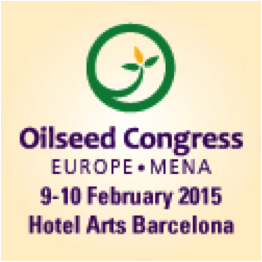 For more details, visit www.oilseedcongress.com. Register for the event with a 10% discount using promo code: #3PR-OCE15. Also check out the agenda for the co-located Women in Agribusiness Summit Europe, which will provide insightful industry content, professional development skills and strategies for success for women across the agribusiness value chain. In Cape Town? Millers can claim a free space at the FFI conference! See the weblink below for more about the one day conference! Free places for millers still available. Wednesday 3 December, 9am – 4pm, Radisson Blue Waterfront Hotel, Cape Town, South Africa. The conference is perfect for attendees of the IAOM MEA conference and expo taking place from Wednesday night to Saturday night and who are already in Cape Town. Flour is definitely in the DNA of the Mosse family. 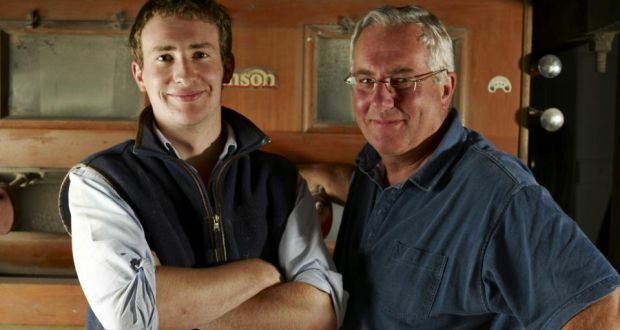 They have been milling on the banks of the River Nore in Bennetsbridge, Co. Kilkenny for seven generations and managing director Robert Mosse believes the business can survive for as long more if it continues to adapt to change. The family business started as WH Mosse, but today it’s known as Kells Wholemeal. It is the only stoneground mill using traditional methods to produce on a commercial scale for the bakery and retail trade. It employs 27 people to make its stoneground wholemeal flours and mixes which are sold here and in Britain and France. The milling industry has gone through many changes, but Robert’s grandfather Patrick met the challenge of flour quotas head-on in the 1960s. While the quotas restricted the production of flour, they didn’t affect the production of bread mixes so this is what he started to do. The family soon became famous for Mosse’s brown bread mix. “I am very proud of what Perten has achieved in the market. Since 2010 we have accelerated our efforts to develop and launch innovative products and services and we have significantly expanded our sales and service organization in both existing and new markets. Perten has appreciated working with Valedo and now welcome PerkinElmer as our new owner, who we are convinced will be able to contribute significant resources and competence to further develop and grow our business.” said Sven Holmlund, CEO, Perten Instruments Group AB. Valedo is an independent Swedish private equity group investing in high-quality small/mid cap companies in the Nordic region. Valedo is focusing on companies with clear growth and development potential where Valedo can actively contribute to and accelerate the companies’ development. Being an active owner and contributing both capital and industrial experience, Valedo ensures that a company can achieve its full potential. www.valedopartners.com. PerkinElmer, Inc. is a global leader focused on improving the health and safety of people and the environment. The Company reported revenue of approximately $2.2 billion in 2013, has about 7,600 employees serving customers in more than 150 countries, and is a component of the S&P 500 Index. Additional information is available through telephone: +1-877-PKI-NYSE, or at www.perkinelmer.com. Westeel today announces the addition of catwalks to its product line to better serve the global agriculture industry. The catwalk system is engineered and precisely manufactured by Westeel and the modular design requires less towers and less installation time than traditional systems. Westeel engineers optimize every catwalk system to the location’s specific weather conditions, seismic zones and site, providing a cost-effective solution. Westeel catwalks and goal posts support high capacity conveyors of over 400 tonnes/hour (14,700 bushels/hour*) with minimal use of towers, greatly reducing material and installation costs. The product meets or exceeds European and North American codes, including EN ISO 14122-1, 14122‑2, 14122-3, 14122-4 and ANSI A1264.1-1995 (R2002). The first Westeel Catwalk system was installed in Ontario, Canada. “The Westeel catwalks installation went seamlessly and took half the time to install compared with other systems,” said Harold Wilcocks, Manager & Sales of Wilcocks Brothers of Watford Limited. Westeel’s Ontario distributor is also very satisfied with the product “We are happy to provide our customers with this well-engineered solution tailored to their specific needs,” said Pat Fischer, President & CEO of John Ernewein Limited. 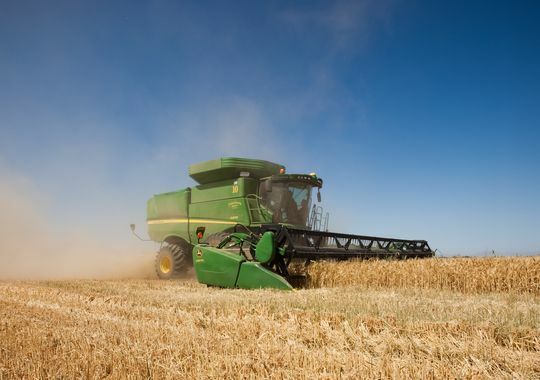 “We see grain storage and handling trending towards larger and larger operations. Along with our PTM Technology line of conveyors and bucket elevators and with our extensive line of bins, our catwalks allow us to better meet those growing needs,” said André Granger, President and General Manager of Westeel. Westeel Catwalks can be supplied with or without conveyor path; with dual walkway; with dual conveyor path; with service platforms; with a bin peak connection and roof stairs; with punched or bar grating floor and with a number of other features. [*Based on wheat]. Westeel is a division of Vicwest Inc. Westeel’s comprehensive catalogue of products includes a wide range of on-farm and commercial grain handling and storage solutions for today’s agricultural industry, as well as storage and containment solutions to meet the needs of the petroleum, water and industrial sectors. Westeel has sales and engineering offices in Canada, the United States, Spain, Italy and India and manufacturing facilities in Canada and Italy. The company exports its products across all continents. Vicwest Inc. is traded on the TSX under the symbol VIC. In order to make sure that customers are constantly up to date with the current legislation, Adifo has entered an exclusive partnership with LISAM, a leading provider of software and service solutions for Environment, Health and Safety compliance. 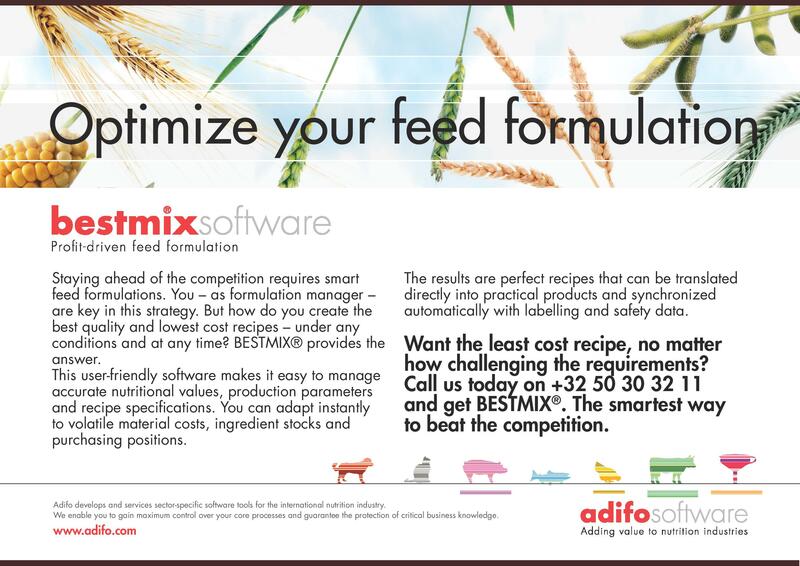 This partnership provides an integrated solution with BESTMIX® for animal feed, human food and semi-processing industries. Thanks to this integrated solution, companies will have full compliance insight during formulation and will supply professional labelling of hazardous materials and MSDS authoring. chemicals. The new regulation will go in full effect on the first of June, 2015. From that day on producers of hazardous chemicals will have to comply with new rules on classification, labelling & packaging of mixtures. The obligation to comply with the ever changing CLP requirements means the workload of affected producers is greatly increased. 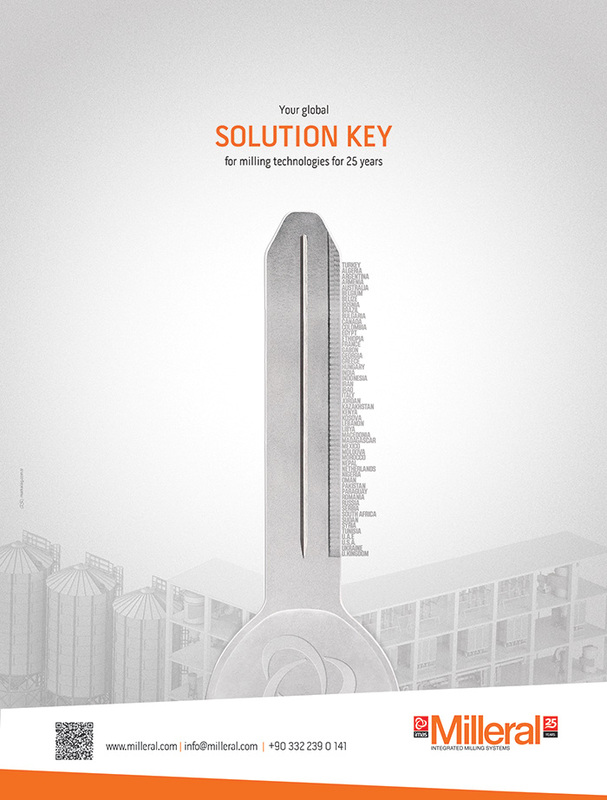 “As a market leader, partnerships are strategically important for us in our quest for continuous growth. They give us the opportunity to cooperate with specialists from different industries and to share their insights. International Milling Directory member BinMaster has new certification ensuring safe practice in use where dust explosions may occur. This is great news for flour and feed millers looking to invest in extra monitoring products whilst upholding health and safety. (Lincoln, Nebraska—November 18, 2014) The BinMaster SmartBob AO level sensor with integrated 4-20 mA analog output has received hazardous location certification. It is listed for Class II, Groups E, F, & G and enclosure types NEMA 4X, 5 and 12, ensuring the sensor is safe to use in locations where combustible dust may be present. This continuous level sensor works like an automated tape measure, but eliminates the needs to climb bins for manual measurements to reduce risk in the workplace. The SmartBob AO with built-in 4-20 mA output is designed for facilities that prefer an analog output for monitoring bin level measurement data. The programming interface and controls are built in to the SmartBob AO circuit board for easy programming. Since the SmartBob AO measurement data is sent directly to a PLC, it provides an alternative to using a console or software for accessing measurement levels. A simple push-button user interface built into the SmartBob AO circuitry is used to configure the settings for each SmartBob AO sensor. To set up the SmartBob AO, the user opens the device to access the keypad and steps through a series of push-button settings to set the interval timer, units of measure, 4 mA and 20 mA drop distances, maximum drop distance, and the Relay 1 and 2 functions. Once setup is complete, measurement data is sent directly to a PLC, with all settings for the bin saved in the non-volatile memory of the SmartBob AO. An interval timer setting initiates a measurement in pre-determined time intervals such as every two, four or eight hours. When a measurement is needed immediately, an external start input can be used to initiate a measurement on demand. Additionally, an override input feature can be used to turn the measurement feature off, disabling the measurement function. The override feature is useful when filling tanks to avoid covering the SmartBob probe with material or to stop measurements when a bin is undergoing maintenance or cleaning. The SmartBob AO features two relays that are configurable by the user, unlike competitive products that only have one relay, making the SmartBob AO more flexible and providing more data to the end user. The user simply selects any two of four different relay options in any combination including measurement status (measurement in process), high level alarm, low level alarm or error alarm (sensor did not take a measurement). Other benefits of the SmartBob AO include the output of a 22 mA error signal if the SmartBob AO should encounter a “stuck top” or “stuck bottom” condition and a soft start feature that reduces wear on the motor. International Milling Directory member, İmaş Makine and their Milleral products are pleased to announce that a groundbreaking ceremony has been held for the new factory, which will increase the capacity of İmaş two and a half times. İmaş Makine, offering its products with Milleral trademark, will put its new factory into use over an area of 56 thousand square metres with 20m TL (Turkish Lira) of investment. The company aims to increase turnover by three times in the medium term. Lamcı mentioned that together with the new factory investment they aimed to achieve highest quality with lower costs and added: “We will establish a structure in our new factory, which has improvable integrated business processes, which supports the innovation; with working principles carrying more efficient, more advanced and more competitive qualities and which is ready for the needs the future would bring. In our new factory in which we can find the opportunity to try out our innovative and technologically value added products we produce, we will continue to design machinery and systems that are sustainable and that provide competitive power to our customers. Lamcı stated that the new structure will remove the labor, place and time losses in the new factory and will meet the needs of social and educational needs of the employees. He also said that they aim to increase the turnover threefold by increasing export as parallel to growing production. Tuncay Lamcı has stated that as they have focused on three important issues in R&D and system design. Lamcı said: “We determine all the opportunities which will maximize the energy efficiency, system operation and long service life and then we present this philosophy which we call “Smart Milling” to use parallel to the interests of our customers.” He added that they see their products they have presented to global markets not just as machinery but systems which symbolize technology, quality and trust and that they would form an added value for the customers with this approach in the future. Hayden Flour Mills, an Arizona upstart flour producer of heritage grains, will receive a major publicity push from living mogul Martha Stewart after her company announced Friday that the mill won a national contest focusing on artisanal goods. The business was named one of 10 winners in the Martha Stewart American Made awards. It will win $10,000 along with exposure in Stewart’s magazine, Martha Stewart Living, as well as on her satellite radio channel and website. There is also an event in New York in early November. Jeff Zimmerman started his company in 2010 with an idea, the rights to the historic name of the flour, but little else. Piece by piece, he assembled what he needed to create the kind of soft flour he grew up with in the farm country of North Dakota. Zimmerman found seed specialists who had the kind of heritage wheat varieties that used to flourish in Arizona. He found farmers willing to plant them. He bought a massive stone mill and found a restaurateur, James Beard Award winner Chris Bianco, who had the space for him to house it. His flour has been sold to several chefs and bakers. It is available on the shelves in a dozen Whole Foods Markets in the Phoenix area, Zimmerman said. “The growth is faster than we can handle,” he said. Zimmerman has moved his mill out of Bianco’s Phoenix bakery and sandwich shop, Pane Bianco, and into temporary quarters in Gilbert. He is working with farmer Steve Sossaman to create a home for his mill close to some of the land where the wheat is grown. Zimmerman said it will cut trucking and production costs, and serve as a showcase for the milling process. He expects the operation to open in November. Zimmerman said more farmers are interested in planting the ancient grain varietals. He started with Sossaman and two other farmers planting three varieties of wheat. He now has six farmers planting 14 types. Zimmerman hopes the organic and heritage flour market can grow like the organic and heritage vegetable market. He is telling bakers they should buy their own mills, even though it would cut into his business, since he believes it will raise interest in the locally sourced wheat.